Do you or any one you know experience stiffness and pain? Indigestion? Constipation? Lack of motivation? Hindering your yoga practice?!! 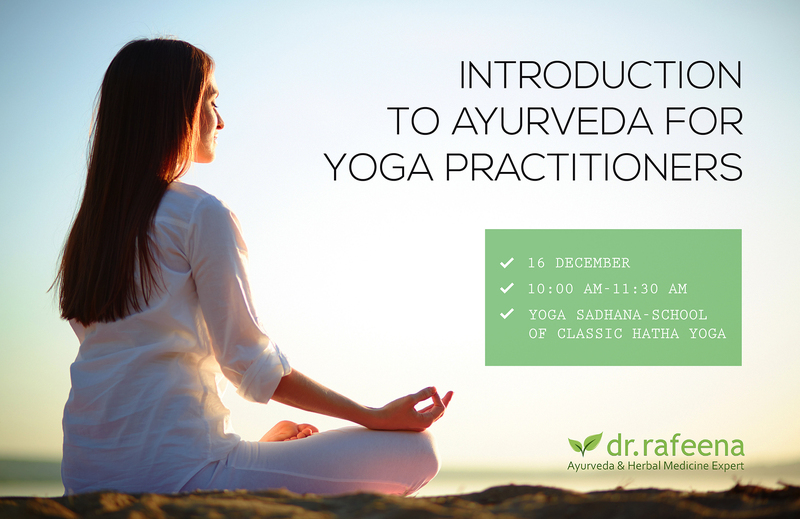 Then come and learn how Ayurveda can support you to improve your general wellness, digestion, flexibility and boost results from yoga! An Ayurvedic Doctor hailing from Kerala, India. Practicing Ayurveda since 2006 and for the last 3 years in Sydney. Now practicing from Ayurclinic, Parramatta and from City (Erskineville). Register now using the ticketing URL. NOTE: This is a free event with limited spots so please register early.